Trusted Electricians in Clarksville, MD Since 1992! If you need electrical work completed in Clarksville, MD or the surrounding Washington, DC area, Jaffe Electric can help. We will take on any job no matter how big or small it is. Whether you need a simple ceiling fan installation, or you are looking to have a building re-wired, our professional team of electricians can help you with all of your electrical needs. Jaffe Electric has been serving the Washington, DC area for over 20 years. We believe in offering excellent service at affordable prices, and have built a strong reputation in the area by keeping these values since our business first opened in 1992. We are dedicated to providing our customers with the highest level of electrical services, no matter what the job involves. Contact us today at (301) 253-3778 to get started! Whether your electrical needs are big or small, Jaffe Electric is ready to help. Our team of qualified electricians in Clarksville, MD can help you with all of your residential, commercial, industrial, and institutional electrical needs. Give us a call today at (301) 253-3778 to schedule your commercial electrical services in Clarksville, MD. When the power goes out, whether it is due to storms, or general outages, it can be a struggle to get things done. Installing a backup generator can help in these situations by providing you with power, when you need it. 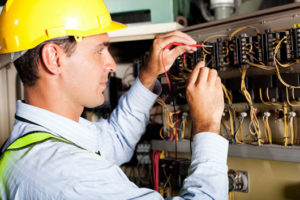 If you are looking for electricians in Clarksville, MD that can help you with backup generator installation, then look no further. 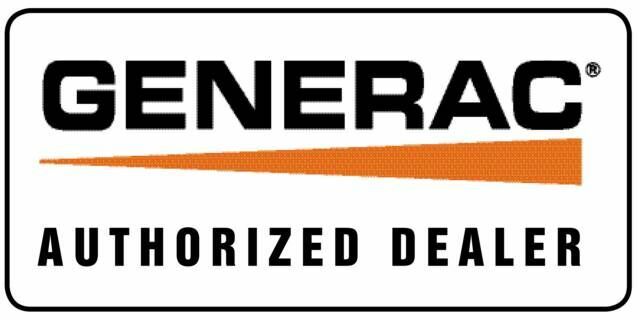 Jaffe Electric are dealers for Generac and Kohler, we believe that these two companies provide quality products that will last for many years. We can help you assess your backup generator needs, and then suggest the right product for your building’s electricity needs. Once your generator is installed, we can also help you maintain it, so that it will be ready to work when you need it most. From small emergency backup generators for residential purposes to large backup generators for commercial purposes, we have the product and expertise you need to keep the power on in times of emergency. If you are looking for affordable backup generator installation services, in the Clarksville, MD area, contact us today at Jaffe Electric. Why Call Jaffe Electric for Your Electrical Services Needs? Jaffe Electric works hard to provide the best electricians in Clarksville, MD. All of our electricians are highly qualified and are continuously studying and working to keep up with the best methods and technology. We have been in business since 1992 and in this time we have built a strong customer base, thanks to our high quality workmanship and affordable pricing. When you call Jaffe Electric you can be sure that you will receive the best electrical work possible alongside excellent customer service. Here at Jaffe Electric we believe no job is too big or too small. From a simple project like outlet installation or a more complex project like backup generator installation, we can do it all. No matter what your electrical needs are, we can help. Give us a call today for a free estimate! Contact us today and find out how our electricians in Clarksburg, MD can assist you with all of your electrical needs.